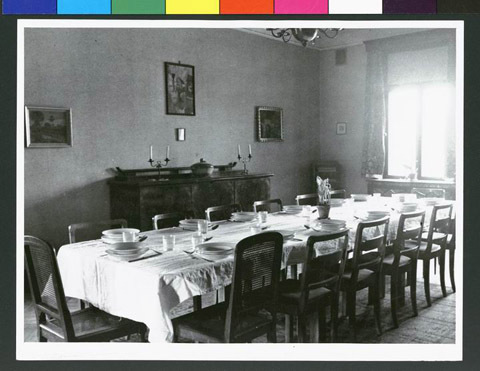 JDC - Archives : Dining hall with the table prepared, in the pre-natal center for expectant mothers. Title Dining hall with the table prepared, in the pre-natal center for expectant mothers. Description View of the dining hall with the table prepared in the pre-natal center for expectant refugee mothers.